Tas is developed by Daniel Gattig. 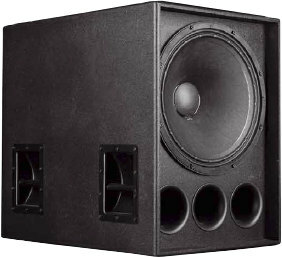 Tas contains Celestion horn driver, horn, mids and mid-woofer. The crossover consists of a 2nd order high-pass filter (12 dB per octave slope) and a 2rd order low-pass filter. The frequency response is quite flat at an angle of 0 or 15 degree, the harmonic distortion is low (less than 0.3% between 400 and 3000 Hz at 95 dB, 1m). The decay spectrum shows small resonances at 500 and 1000 Hz; apart from that it is nearly without fault. Our high-end version employs Rike Audio oil capacitors, produced in Germany. In the woofer part Clarity cap capacitors are used. A Mundorf varnish air core coil and two copper foil coils replace the standard air core coils. The resistors are of type Mundorf MResist Supreme..